In January 2015, Soochna Seva team of Chanchoura helped Pream Ahirwar of Meriyakhedi village to open up an account under Pradhan Mantri Jan Dhan Yojna. He also took Soochna Seva team’s assistance in availing Aadhaar card in March 2015. 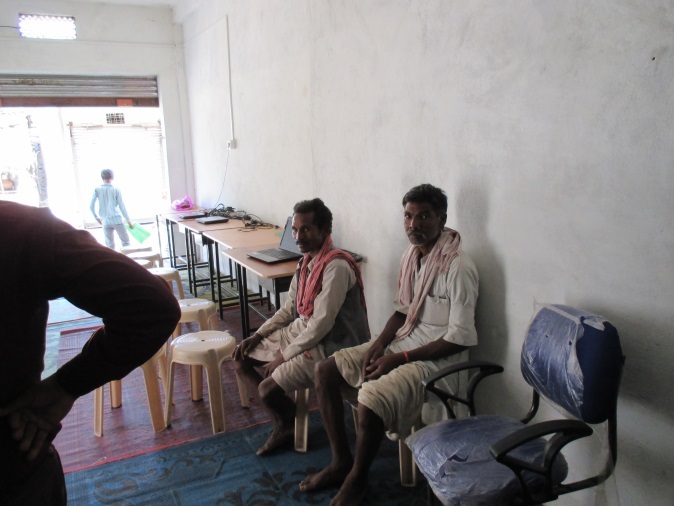 Soochna Seva team and Meriyakhedi residents were waiting for the Aadhaar cards. Usually Aadhaar cards reach an individual’s house through post within two months. But the wait continued for three months and all the applicants were desperate to receive their Aadhar card. Pream Ahirwar reached Soochna Seva Kendra of Chanchoura and complained that neither he nor the residents of nearby villages has received the card yet. Soochna Seva team was under the impression that more than hundred cards that reached Murela Post office had already been distributed. So Soochna Seva team phoned to the Postman, Shri. Deepchand Gupta and inquired about the delay. He notified that the cards have been already given to BLO, Shri.Beeram Singh for distribution. To know more about the issue the team spoke with Shri. Beeram Singh. He promised to distribute the cards as soon as possible. After few days, Soochna Seva team sent one of the fellows to visit the village and know about the status of cards. The news alarmed the team hence they did a follow up call to Shri. Beeram Singh. When he failed to respond to the calls, the team again phoned Deepchand Gupta and reported the matter and poked him about failing to do his job properly. The thrashings worked wonders and within a week BLO sent his assistant to distribute the Aadhar cards.